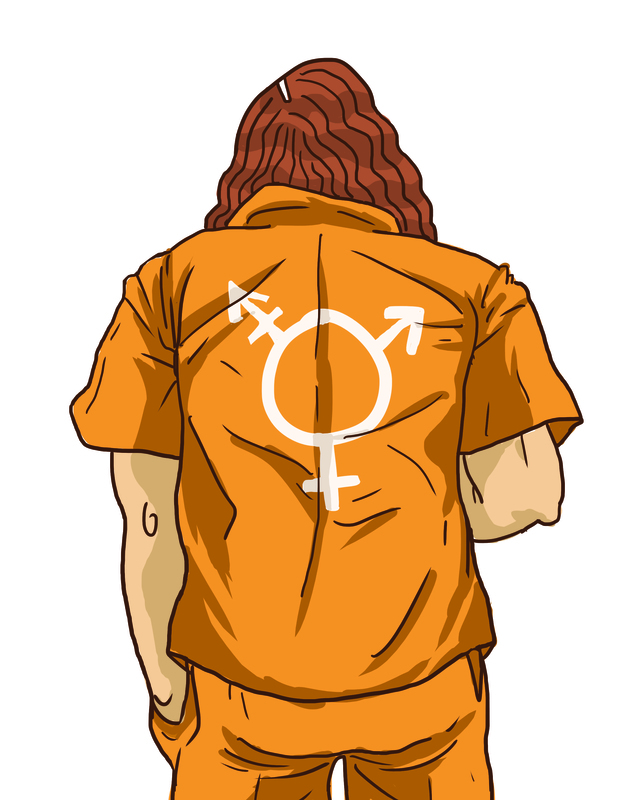 We welcome contact from trans prisoners regarding other ideas for support they would like to see from this project. If you have contacts in prison, you can help us reach out and invite trans prisoners to organize with us or contribute to the zine or postcard series. Or to add their name to the list of prisoners to receive letters from people at the events. Check out Black and Pink to sign up to be a pen pal of queer and trans prisoners in the United States. Please click here and read these guidelines for writing before sending mail to prisoners. You will also find additional information HERE and HERE. Vanessa Gibson is a trans woman who is currently incarcerated in Gatesville, Texas. She has brought to attention the horrific and unethical policies that Texas Department of Criminal Justice (TDCJ) imposes on trans prisoners, especially trans women. Vanessa has been incarcerated since she was 17 years old, most of which has been in isolation (administrative segregation). She has devoted her life to learning the legal system to gain advances in better treatment for trans people who are incarcerated. She would appreciate any support you are able to offer, and always welcomes new pen-pals. Jennifer Gann, A.K.A. Babygirl, is an anti-authoritarian trans woman and insurrectionist amazon held captive for over 25 years for armed robberies and a 1995 attack on a district attorney and associate prison warden. She took part in the 1991 Folsom Prison hunger strike, after which she was beaten and tortured, convicted for armed resistance, and sentenced to multiple 25-to-life sentences under the Three Strikes Law. She has spent over ten years in solitary confinement at Folsom and the Pelican Bay Secure Housing Unit. Despite all of this, Jennifer continues to struggle for freedom, remaining a committed anti-authoritarian, anti-imperialist, anti-racist, anti-fascist, and anti-capitalist. Donate to support her legal struggles, which could result in her release. At this time, mail and letters to Jay are being requested so he knows he has the support of people who care about him. Jared Chase of the NATO 3 is serving an 8-year sentence for helping undercover cops with their own idea to make molotov cocktails, that were never used, to protest the 2012 NATO summit in Chicago. Chase has been diagnosed with Huntingtons disease and has not been receiving the recommended medical care and nutritional supplements required to treat his condition while in custody, further adding to his deterioration as indicated by rapid weight loss.